Pro Dive, located in Plettenberg Bay at the Beacon Isle Hotel, a 5 Star PADI Centre with excellent training facilities and spectacular dives sites. Scuba Diving in Plettenberg Bay offers a fireworks display of colourful soft corals, anemones and sponges and rich marine life including shy sharks, rays, octopus and many species of reef fish. PRODUCTS SUITABLE FOR EVERY-ONE - No experience needed! 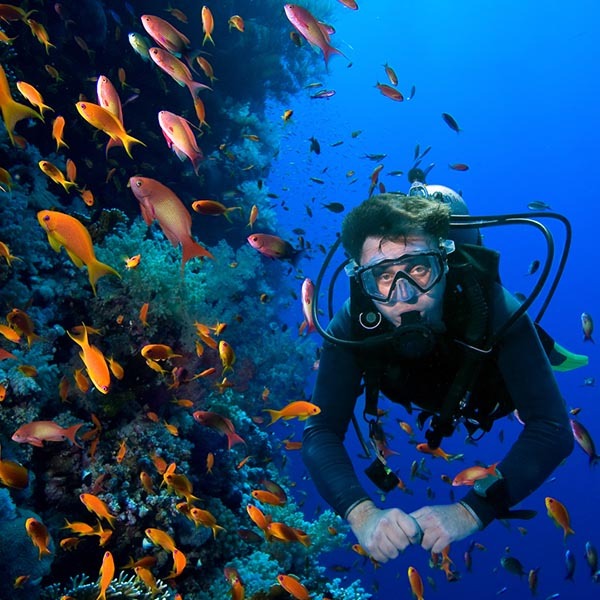 Learn to scuba dive in one day! This experience is a fantastic opportunity to discover the colourful world beneath the waves! Includes quick introduction, pool session and one sea dive including all gear. Option to upgrade to a Seal or Reef Boat Dive. The adventure of a lifetime! Complete your PADI Open water diving course over 2 – 3 days and receive a PADI Internationally recognised diving qualification. The course consists of theory sessions, pool training and ocean dive with the option to complete your theory online to save time in the classroom.